Need some last minute ideas for Groundhog’s day? We’ve got you covered. 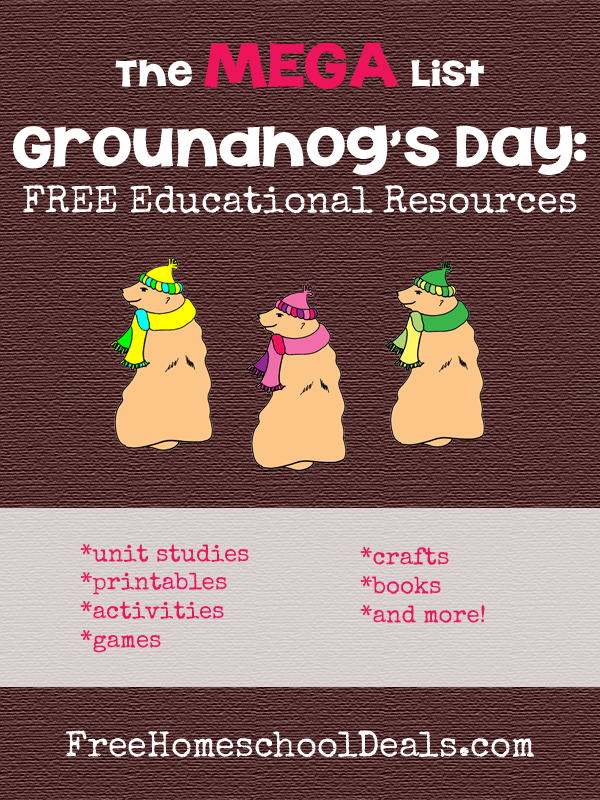 CurrClick has a selection of free and frugal options for groundhog’s day resources, including a lapbook from In the Hands of a Child. Be sure to check those out! You can learn about the history of Groundhog’s day on the official Punxsutawney Groundhog Club’s website. Elementary Matters has two fun freebies to practice the consonant +le sound and prefixes and suffixes. Groundhog Day felt finger puppet from Rust & Sunshine – free printable instructions! Make a fun paper groundhog from Lucky Me! I always like to check out Amazon before heading to my library to get an idea of what books to look for. Here are some more groundhog day book ideas. In sourcing this post, I came across a few other round up posts. I am including them here so you can find even more groundhog day fun! Funschool: Groundhog Day from Are We There Yet?